1. Plan Ahead: budgeting your time effectively can give you hours back in your week. Use a calendar – paper or digital – to map out what you need to accomplish each week. Look ahead to upcoming assignments and tests. Break your homework into smaller chunks and plan out what you’re going to work on each night throughout the week. Consider other activities you may be involved in outside of school, like sports practices or youth organizations. It’s okay to budget time for relaxation too, but don’t let yourself get swept away in video games, social media, or Netflix for too long. Try setting alerts and reminders in your phone to keep you on schedule. 2. Write Things Down: while it may sound cumbersome, you are more likely to remember something once you’ve written it down. Even if you’ve not been specifically instructed to do so, always take notes in class. Sometimes a concept might seem simple when it’s demonstrated to us, but when we try to repeat it at home it gets confusing. Good notes can help prevent this struggle. Take notes in your own words and in a format that makes sense to you. Textbook and dictionary definitions can be really wordy; try making notecards that have both formal and simplified explanations on them to help you study. Always try to engage actively with material, rather than passively rereading information. 3. Use Your Resources: when the textbook or your class notes don’t make sense, seek additional resources. You can find many lessons available for free on websites like Kahn Academy and YouTube, and you can search for practice quizzes made by other teachers on websites like Quizlet and Kahoot. If you don’t have anyone to proofread your essays, the website Grammarly provides a free grammar check for written assignments. Finding information that’s presented in a new format can help to clarify your understanding of it. 4. Ask for Help: don’t be afraid to speak up when you need extra help. Your teachers are there to support you. If you struggle in math, ask your teacher for additional practice; if you hate reading aloud, preview the material the night before or practice by reading to a younger sibling. Pick a friend to be your study buddy. Quiz each other and re-explain lessons to each other – the ability to teach a concept to someone else will let you know that you have mastered a topic. 5. Find a Mentor: learn from those around you. Find someone with whom you can discuss your goals. This person might be a teacher, coach, or parent. Explain to them what you want to achieve and what barriers are holding you back. Ask them what challenges they faced and what helped them succeed. Be open and receptive to their advice – they want to see you succeed as well! Most importantly, don’t get discouraged if things don’t go perfectly the first time around. Some things are going to come naturally for you, while others are going to require extra focus. Check in from time-to-time with your goals and allow yourself to grow. It’s okay to re-evaluate and change your plan throughout the school year. Remember, everything comes down to finding balance. Katie Reilly is an English teacher at one of the highest ranked collegiate high schools in the state, Florida SouthWestern Collegiate- Lee Campus. 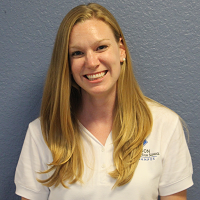 She is currently working towards her Master's in School Counseling and is passionate about student success.